Succeeding as an entrepreneur is hard. Most entrepreneurs risk everything they have trying to make it. They must wear many different hats. They have little or no social life. They don’t get enough sleep. And they can almost never count on a steady paycheck. It’s no surprise that more than half of new businesses close within their first five 5 years and less than one-third are still operating after 10. Now, imagine trying to make it as an entrepreneur after major failures and a tarnished reputation. The odds of success just got much worse. I know, because this was my reality as a young entrepreneur. What Happened To Dhar Mann? After graduating college at 22 years old, I started rehabbing some of my family’s commercial real estate in the City of Oakland, CA. I was fortunate to discover a government grant program that would reimburse 50% of the money I spent on renovations. By offering this cash incentive, the City hoped to motivate more property owners to make improvements to their buildings. It seemed like a perfect fit for the projects I had planned. Excited, I started many construction projects at once. What I didn’t realize is that it would take nearly a year for the City’s reimbursement check to come in – well after the project money had all been spent. Being overly ambitious and eager to make my mark on the world, I started taking some shortcuts on my grant paperwork to expedite the reimbursement process. I thought if I could get reimbursed faster it would allow me to take on more construction projects. I learned the hard way that cutting corners is a bad idea. In 2014, I plead no contest to charges of defrauding the City of Oakland out of redevelopment funds and promptly paid the fines that were issued. I knew I brought this upon myself, but the damage to my reputation was so immediate and severe, I wasn’t sure if I would ever be able to recover. It was one of the lowest moments of my life. How would I possibly be able to succeed? Believe it or not, as bad as that experience was, it did not keep me from becoming the CEO of an 8-figure business a few years later by age 32. The reality is that at some point, everyone faces failure on some level. Some fail more than others. In fact, failure unavoidable. You have to fail yourself to success. Regardless of the challenges standing in your way, there are things you can do to minimize their impact and get back in the game quickly. 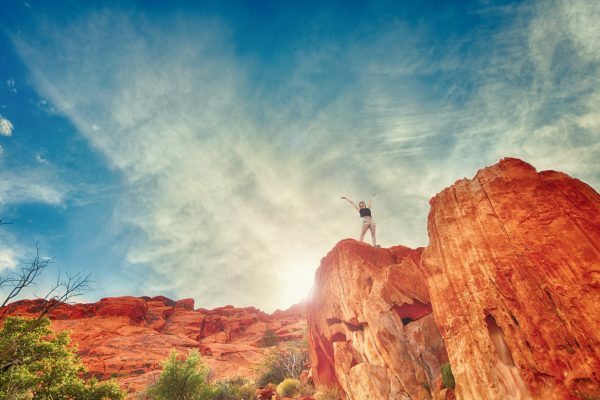 In this blog post, I’ll share the 3 things that helped me cultivate the right attitude to succeed even after a big setback. We all have an inner voice that can either serve as our biggest motivator or our greatest detractor. Unfortunately, during difficult times it’s more likely to work as a detractor. As a detractor, that inner voice tells us: I’m not good enough. I don’t have what it takes. I’m a failure. I’m a joke. People laugh at me. I’ll never succeed. STOP engaging in negative self-talk. The worst thing you can do is start to believe the lies that insecure little voice is telling you. It’s very difficult to turn negative thoughts into positive actions. But, when you’re going through a difficult time, or the odds are stacked against you – that’s when it’s most important to keep a positive mindset. Remember, your past does not determine your future unless you decide to live there. Failure is an event, not a person. You may have experienced failure, but you are not a failure. Reinforce these ideas through positive self-talk. You can and will get through this. Others have faced greater challenges than you, and have still been able to succeed. Let your story be no different. From this moment forward, you can start making better decisions to start getting better results. And in order to make better decisions, you have to have positive thoughts. Success starts from the inside out. You know that guy who always has an excuse for everything? Nothing is ever his fault. He’s a victim of a bad economy. The timing just wasn’t right. Others screwed him over. Accept responsibility for exactly where you are in life. If you don’t see yourself as the problem then you also won’t see yourself as the solution. You’ll never be able to turn your life around because you’ll be sitting around waiting for someone else to do it for you. Sorry to burst any bubbles, but the only person who can make your life better is you. After my convictions, I wasted a lot of time displacing my anger and blaming the system for my circumstances. I realize now I could have used that time more productively by focusing on moving forward with my life in a positive way rather than dwelling on my negative past. Accept responsibility for everything that happens to you in life- the good with the bad. By doing so it will empower you to take the necessary actions to create the future you really want. Failure always has a silver lining, but only if you learn from it. Use your setbacks as preparation for your comeback. Learn to think of failure as the universe guiding you in a better direction. All of the world’s most successful people encounter failure. In fact, the more successful they are the more they’ve likely failed hard. What separates unsuccessful entrepreneurs from great ones is, perseverance through the failure. The great ones don’t give up. Ever. And when they encounter failure, they learn from it. It’s hard to keep someone down that keeps getting back up. Pick yourself up and brush the dirt off. Think about it: if most entrepreneurs did not encounter failure then everybody would be one. Most people don’t get out of bed every day thrilled to go work for someone else. The world would be full of business owners with no one around to do any of the work. The great thing about success is nobody’s keeping score. In business, you only have to be right once. And once you get it right, that’s what people will remember. We all experience failure. Some of us, fail harder than others – but remember this. The bigger the goals, the harder the fail. 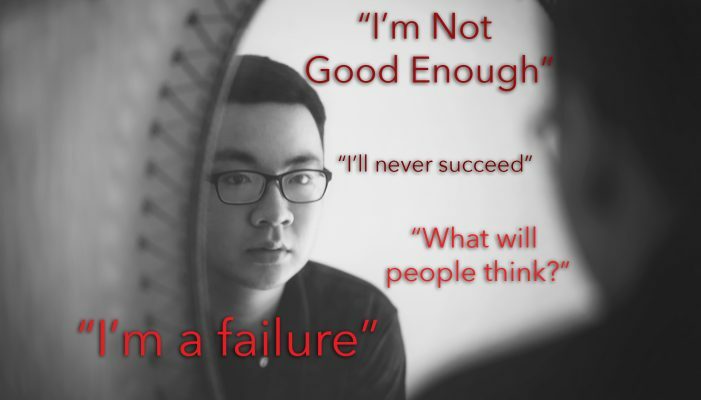 When you face failure it is important to avoid negative self-talk and to take responsibility for exactly what happened. Learn from failure. Commit to trying again. By doing so, you’ll start to see setbacks not as roadblocks to success, but rather building blocks to success. Use your setbacks as preparation for your comeback.